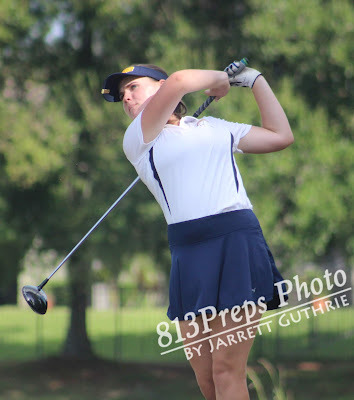 Steinbrenner sophomore McKenzie Kane shot an even-par, 36 helping the Warriors to a team victory against Plant. LUTZ - The Steinbrenner golf teams played host to Plant’s boys and girls squads Thursday afternoon as the Warriors girls claimed a 158-175 victory and the Panthers boys team continued its undefeated run with a 145-163 win. 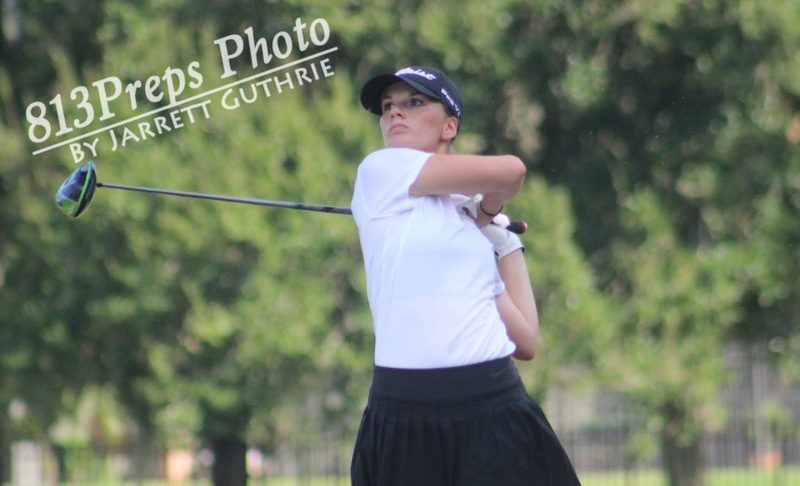 Plant senior Madison Garrett led the girls' scorers with a 1-under par, 35 a nine-hole low round for her high school career. The girls’ nine-hole match featured a solid back-and-forth between each team’s No. 1’s with Plant (7-1) senior Madison Garrett and Steinbrenner sophomore McKenzie Kane battling to the final hole. Both players finished strong, carding birdies on the final hole – the par-4, 250-yard first hole at Heritage Harbor – with Kane finishing even at 36 (two-and-a-half strokes lower than her per-nine average this year), and Garrett taking the individual low round with a one-under par 35. 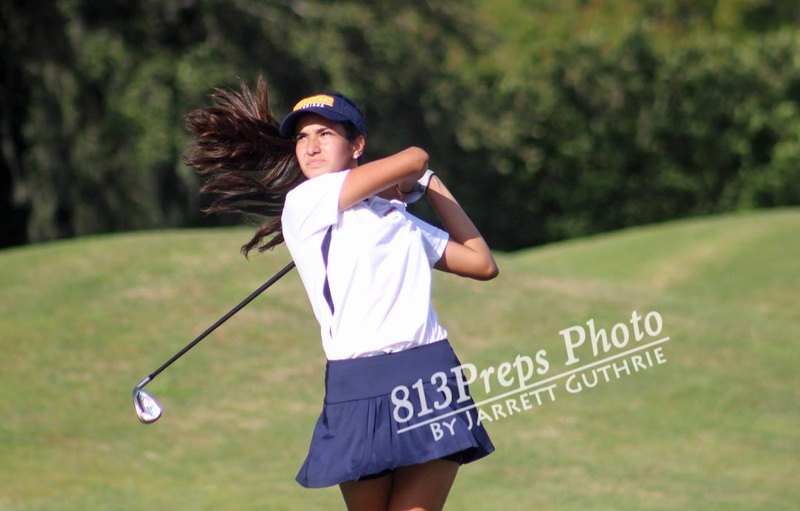 Steinbrenner, which reached the FHSAA Class 3A state tournament last season finishing in eighth place as a team, improves to 8-1 on the season as Alexis Castillo shot a 40, Posie Farrelly finished with a 41, and Alyssa McKee rounded out the Warriors scorers with a 41, which included a birdie chip in on her final hole of the day. 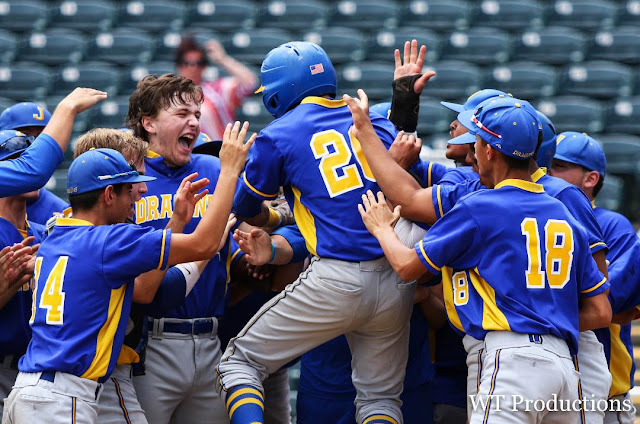 Steinbrenner will host the Class 3A-District 11 tournament at Heritage Harbor in October and will again face Plant. In the boy’s match, Plant improved to 8-0 on the season led by a 3-under, 33 from sophomore Logan Hunter. Hunter carded birdies on holes five, six and seven, and also chipped in for par on hole No. 8 en route to the day’s low individual score. 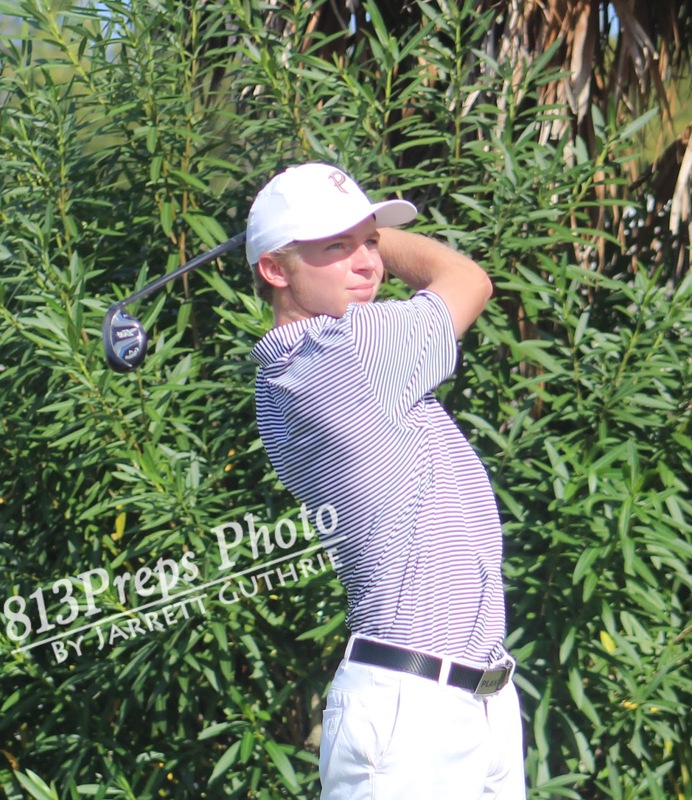 Finishing with 1-over, 37s were Plant senior Carson Moran and junior Mac Suber, the two remaining holdovers from the Panthers 2016 Class 3A state championship team. 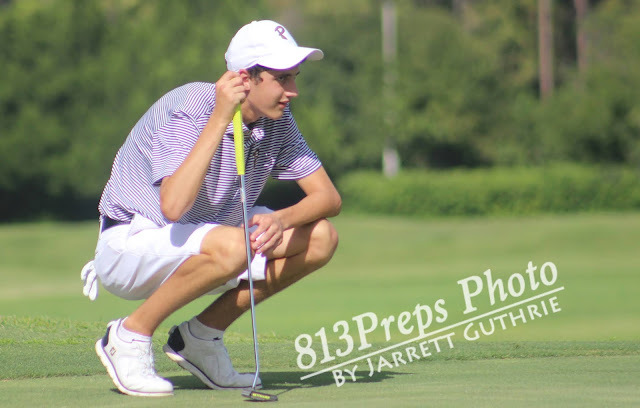 Plant’s scoring on the day was rounded out by a 38 from junior Hunter Holloway, who along with Suber and Moran, are the three returning starters from the 2017 team that finished tied for sixth at last year’s state tournament at Howey-in-the-Hills’ Mission Inn. 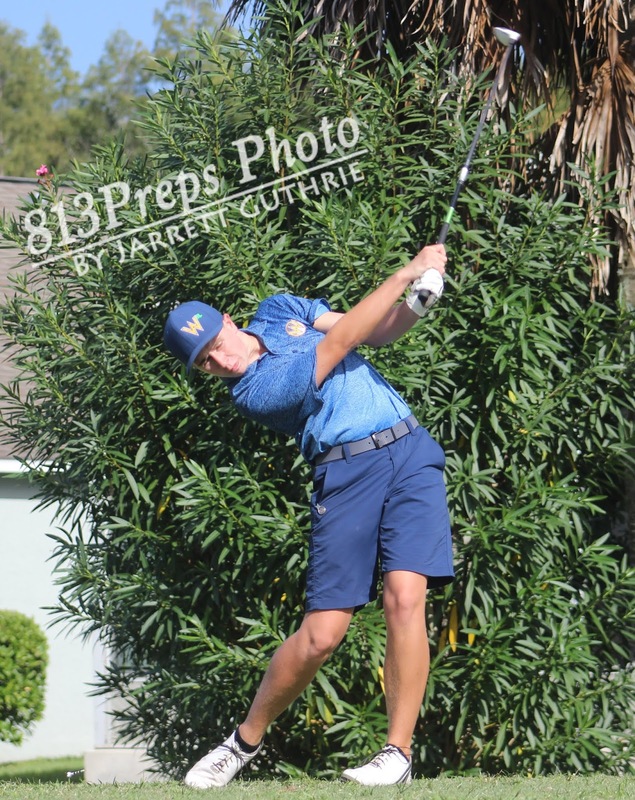 Steinbrenner’s lowest round of the day was turned in by Evan Hager, who finished with a 39, while Mac Whitworth and Mike Kramer each shot 40s, and Robert Cooper shot a 44.